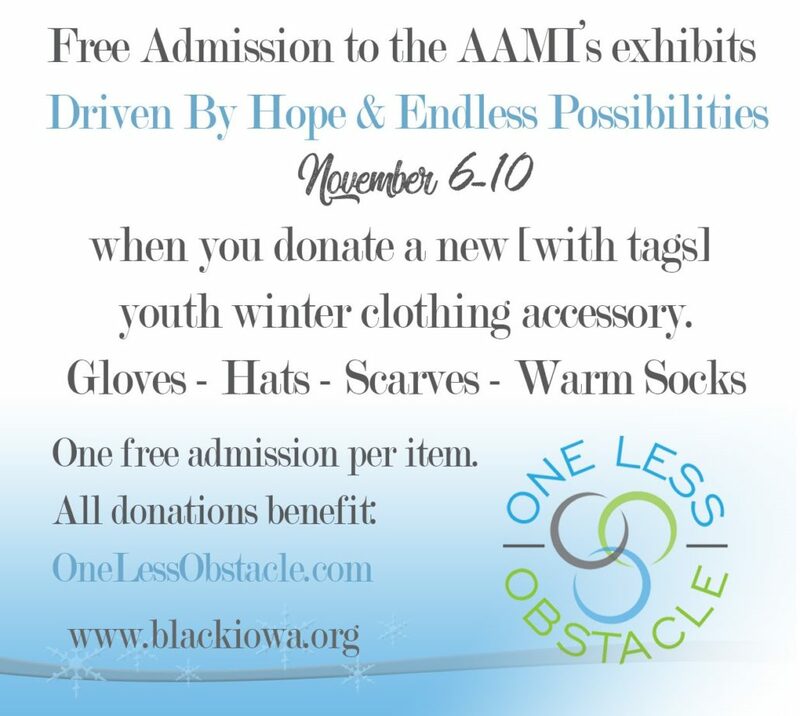 Get FREE admission to the AAMI when you donate new, with tags, winter youth clothing accessories (gloves, hats, etc.). One free admission per item. The Museum is open Tuesday – Saturday, 10am to 4pm.